Practice makes perfect - this is true for any sport but in golf, a single putt can make the difference between winning that all-important hole in match play. 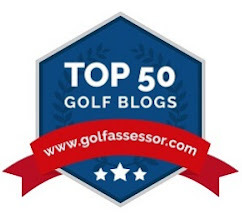 According to GolfStateofMind.com, "fifty percent of shots are hit within forty yards of the hole." Short game and putting expert Dave Pelz noted that PGA Tour players average just over twenty-nine putts per round compared with twenty to thirty handicappers who average thirty-five and more putts per round! Since this is fact, why wouldn't you spend most of your golf practice time on short game and on improving your ability to putt? When amateurs do take the time to practice, several occurrences are the norm; a golf bag might be thrown into the trunk and carted off to the driving range where banging balls has become an obsession and putting is left as an afterthought. Or, in many cases, time is at a premium and golfers may haphazardly pull out their electronic putting cup and roll putts along a wood floor or carpet hoping that this substitutes as practice, instead of travelling to the nearest course with a putting green. The problem with this form of "practice" is it will not teach true roll or speed of a green, not to mention that you'll never figure out how to putt on hilly lies. Wouldn't it be great to have direct access to a green right in your own back yard? Leading short game golf guru, Dave Pelz, preaches regularly that direct access is the key to putting greatness. Okay, so Pelz has designed a wonderland of sorts in his own backyard - a masterfully created two acre SYNLawn Synthetic Golf haven, complete with reproductions of Augusta and Sawgrass greens that roll true ...and never need water! Not everyone can be Dave Pelz but many folks can easily create a short game area complete with putting green near a terrace or patio for daily enjoyment and will probably practice a whole lot more...and with much more accuracy, thus helping to lower your handicap. Why go with a synthetic lawn and not create a grassy haven? As mentioned before, synthetic lawns don't need to be watered, so you'll save up to seventy percent on your water bill. Artificial turf is also always green, never needs fertilizer or mowing and even feels like real grass. Finally Dave Pelz, a former NASA physicist (nope, I did not know that either), has helped develop this particular synthetic lawn for over five years to simulate a real golf green. Have I gotten your attention? If so, and you are considering creating a short game area in your back yard, Mr. Pelz has a few tips to help build a unique and complex putting green so that you can't wait to get out and practice. “Amateurs trail the Pros in Lag putting performance because it is one of the least practiced areas of their games. Creating a realistic 'Tier' in your backyard green complex will teach you how putts break as they traverse a Tier, and improve your touch for distance." "Humps are an interesting addition to a putting surface: they increase the green-reading challenge." "Valleys in rough areas can get as large as a grass bunker, or just run through an area and add to the natural contours. Valleys in rough areas add to the short game challenge and allow practice on sidehill lies." 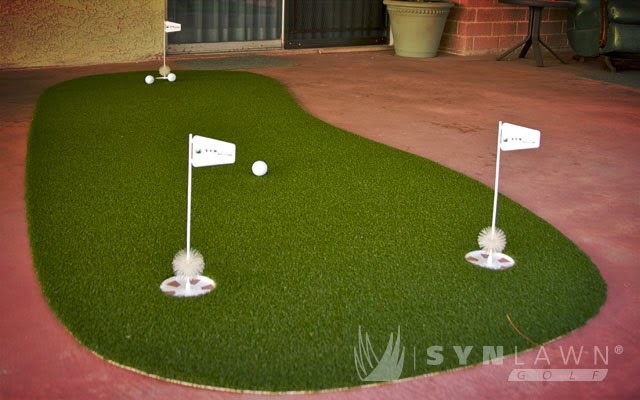 SYNLawnGolf can build custom putting greens to specifically work on areas of focus, large or small, or you can make this a fun DIY project. Want to practice indoors? 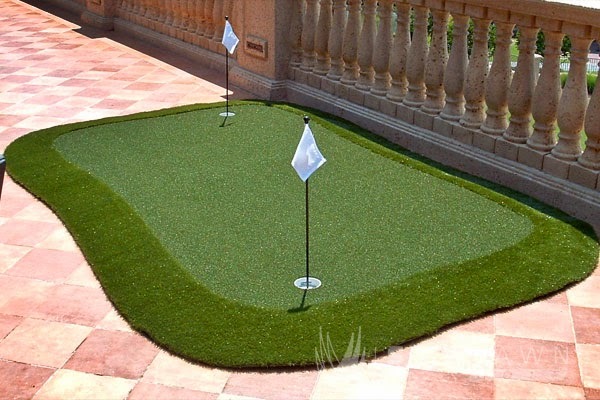 SYNLawn's portable putting greens and mats can either substitute as fairway turf or a realistic putting surface right in the comfort of your home. 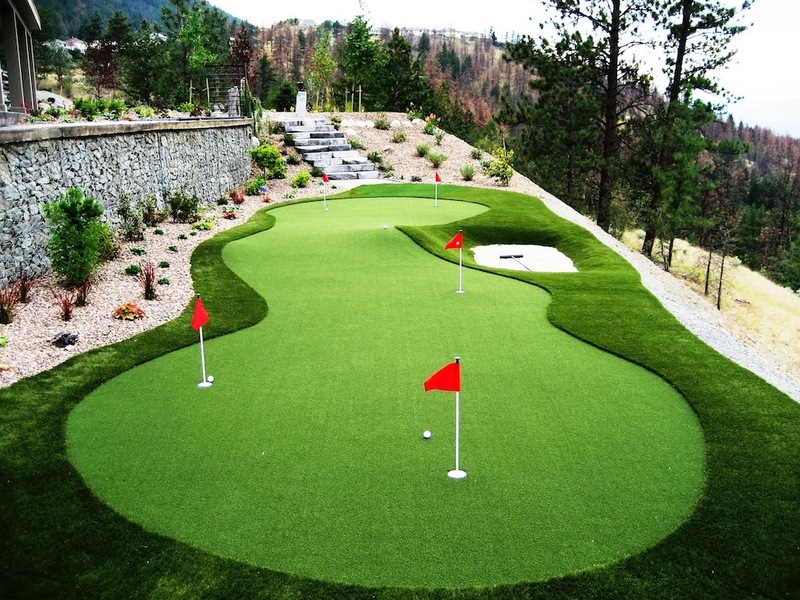 Ever wanted your own backyard putting green? Voice your opinion @Golf4Beginners and on @SYNLawn_Golf, the Turf Experts on Twitter...and LIKE SYNLawn Golf on Facebook! Can Colin Montgomerie Teach You How to Win at #Golf? Can Colin Montgomerie, the most recent addition to Golf Channel Academy, teach you how to play and win at golf? Montgomerie, the Scottish born European and now Champions Tour player who has never won a major, officially has thirty-one wins under his belt on the European Tour and eight money titles, none more recent than ten years ago. 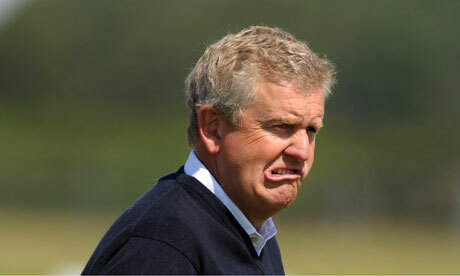 What about golf lessons which might entail the mental game; is Colin Montgomerie a qualified instructor? Dave Stockton, writer of "Own Your Game" might not think so! Montogomerie has never really been able to control his emotions with outbursts both on and off the course. 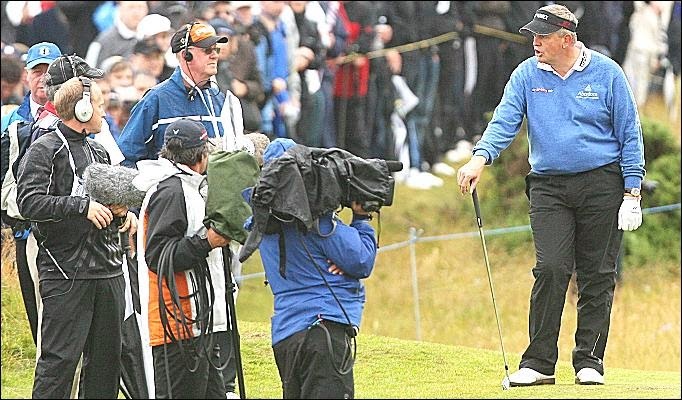 In 2009, Montgomerie blamed a two-year drought on mental errors which caused him to miss meatball shots and has been flustered under pressure for committing an "unwitting error", as Monty put it. In order to be able to teach amateurs about the mental game, Colin would have to prove he has a more calm demeanor. Maybe turning fifty has helped him achieve a better attitude? Colin Montgomerie, after joining the Champions Tour, mentioned that he felt that he had the "opportunity to win" due to the differences in driving distances between Euro and Senior Tour golf courses. The belief Colin can win is a big determinant as to how an instructor will be able to teach an amateur-you have to feel and know you can win in order to be able to impart that feeling to another. If a golf pro turned instructor can't keep his mind on the game at hand and is iffy as to whether or not he can win, how can he possibly teach YOU how to use the mental game to your advantage? Remember, games are won in the five inches between your ears. Golfers know that the mind plays an important role in every golf shot taken whether it be playing in a tournament under pressure or during a friendly round with your mates - so why not use the mental game to our advantage? 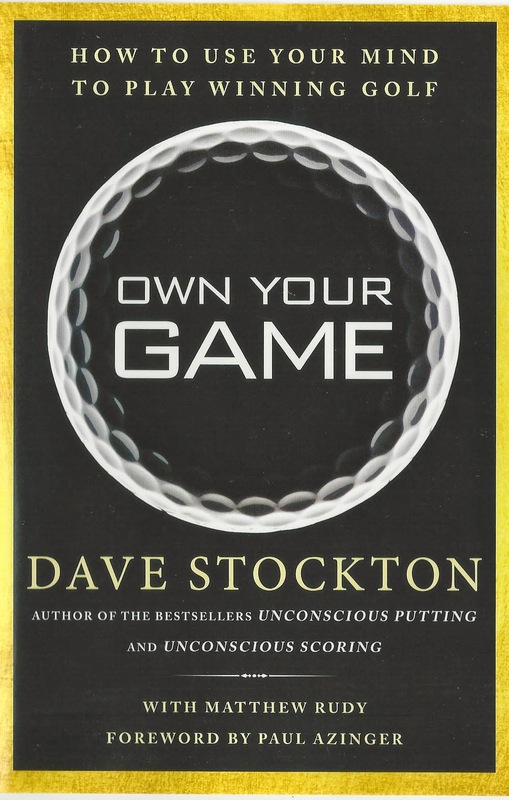 In his new book, "Own Your Game", Dave Stockton offers stories from his own experience as a major champion winner and coach to complement decision-making advice he gives on everything from attitude to the essentials of strategy. How would you like to ride eighteen holes with Dave Stockton, learning to acknowledge and improve mental strategy on every hole? We'll give you a few of golf tips from this short game golf guru 'to get you started in using your mind to ultimately determine how well your going to play', to paraphrase Mr. Stockton in this mental challenge game book. 1. "By developing the ability to control my emotions, stay in my comfort zone and never give up on the course," Mr. Stockton states, "I had a very successful career." Giving up on the golf course early in the round, in my opinion, is a hard task to overcome. 2. "It's not how you hit the shots, it's how you use your mind to picture them." Creative Visualization, says Tiger Woods, is a key to low scoring. 3. 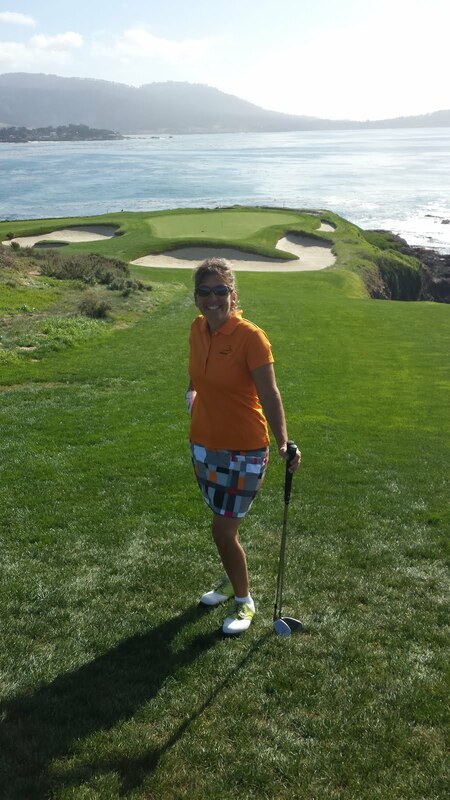 "Look for that personal balance between playing it safe and standing over a shot believing you're going to hole it. 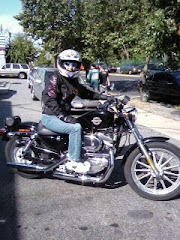 Every time you put yourself in a better position to hit a scoring shot, you're learning when to push the accelerator." 4. An essential strategy - "To maximize your chances for a good score on a given hole, you have to start seeing each hole as a combination of shots you know you can play." Don't go for shots that you can't make...instead use what you've practiced to get that ball in the hole in the least number of strokes. 5. When playing golf in a business setting, "even if you're on the losing end, ask yourself if it's worth spending a few bucks to be in good with your boss or your client. The answer is almost always yes, Stockton says. "Relax, enjoy yourself and play to the best of your ability." Que sera, sera? I have definitely gotten a few mental game tips from "Own Your Game" but now I need to translate those words of wisdom from the book to the golf course...a lot harder than it seems! In "Own Your Game: How to Use Your Mind to Play Winning Golf", renowned tour instructor Dave Stockton draws from his experience as a champion tour player and a revered coach. From Annika Sorenstam to Phil Mickelson to Rory McIlroy, Stockton's approach is the same, that is, "trying doesn't work." Get in touch with Dave Stockton on Twitter @StocktonGolf, Facebook/StocktonGolf and through his website, StocktonGolf.com. 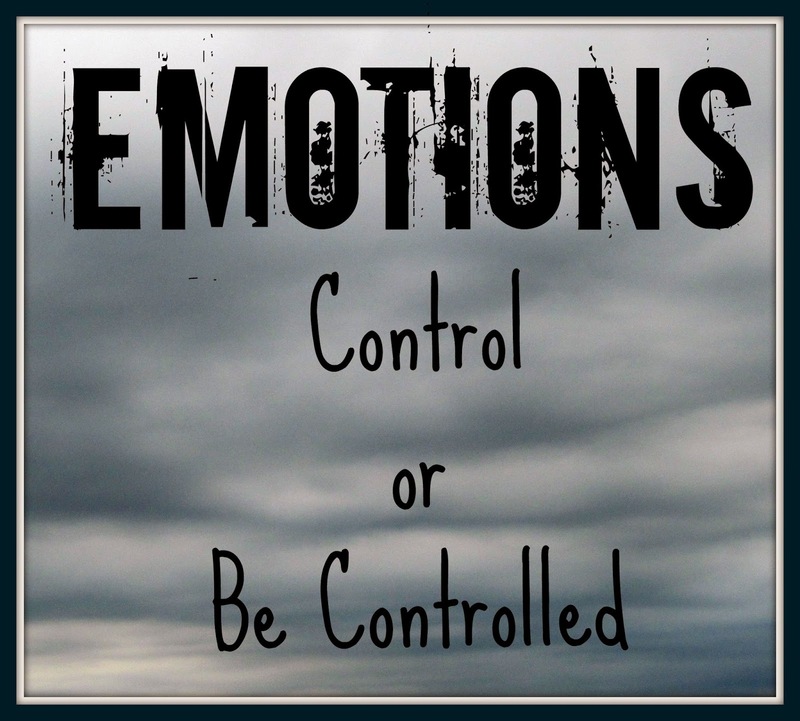 What types of challenges do you face in your mental golf game? Voice your opinion on this Golf for Beginners blog and on our @Golf4Beginners Twitter page. 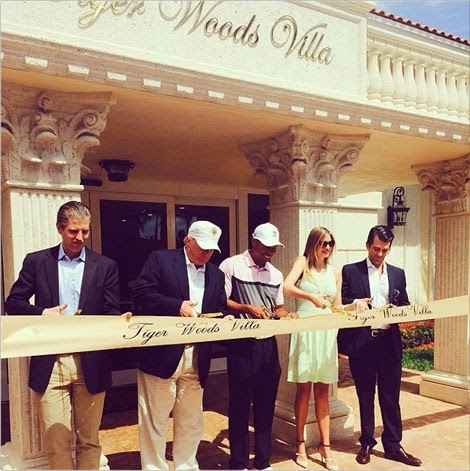 Tiger Woods and Donald Trump have formally cut the ribbon to the new Tiger Woods Villa at Doral Golf Resort. Rory McIlroy wanted to be among the first guests to stay (and play...at this week's WGC Cadillac Championship). Here is why you may or may not want to! Rory McIlroy may like the room decor at the new Tiger Woods Villa but he doesn't necessarily like his view. "I can't go to the bathroom without looking at you," McIlroy texted to Woods, bummed out that, no matter where he walks throughout the suite, there are pictures of Tiger in every room. So far, only exterior pictures are available of the Tiger Woods Villa at Trump Doral but, according to TripAdvisor.com, people who stayed at the TW Golf Villa at Oro Valley rate it "a Tiger Woods hole-in-one." Formally known as the Doral Country Club, the club was purchased by the Trump Organization in 2011. The Club is home to five championship courses, the most famous of which is the Blue Monster, home to the World Golf Championship Cadillac Golf Tournament. This course has been totally redesigned by new owner Donald Trump in an attempt to make the course more challenging and exciting to all golfers. Well, now it is being called by PGA.com writer Doug Ferguson, the "familiar place no one recognizes." Is this a good thing? Well, if you enjoy watching The Donald's helicopter fly back-and-forth onto a helipad by the 10th hole, I guess you might like the redesign - it's all a typical Trump creation. New trees, greens, bunkers tees, fresh turfgrass and a huge practice green are among the improvements made by Mr. Trump, to the tune of $200 million...in addition to the $150 million used to purchase the golf property. In 2009, the Blue Monster course joined the prestigious PGA Tournament Players Club and was renamed as The TPC Blue Monster at Doral. Donald Trump recently told the PGA that his plans for the par-72 golf course included extending the first hole by 100 yards and turn the 15th hole into an island green. So, after the hoopla of the WGC Championship has ended, vacationers who want to play the new and improved Doral and book the Tiger Woods Villa can fly to Miami, Florida to partake in a little winter sun. Playing fees range from $190-$450, depending on the season and which course you choose to play. Trump Doral easy to get to? 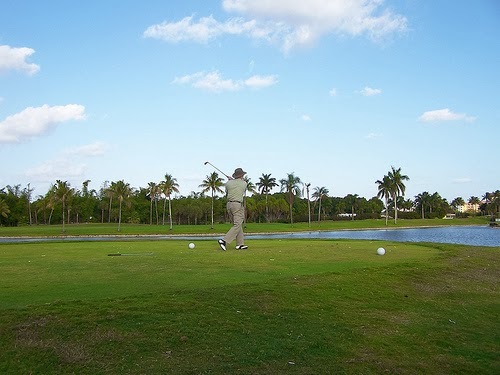 Don't just go for the golf - enjoying the Miami climate makes this vacation destination a winner! Being named the Sunshine State, you can assume that Florida receives an impressive amount of sunshine during the year and enjoys a warm climate. However the weather does vary from north to south Florida - during the summer months the south can get exceptionally humid and almost uncomfortably warm, and the north tends to be milder but still hot. During the summer months of June-August temperatures tend the reach around 30-35 degrees Celsius, which can be uncomfortable to play 18 holes. Try making Florida an off-season destination, November-May - temperatures can dip as low as 17 degrees Celsius but also climb to 25 degrees Celsius. Thanks to Maria Bain who contributed to the Doral portion of this golf blog. 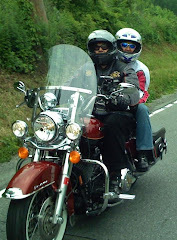 Bain is a freelance travel blogger, writing on a number of topics including luxury travel, golf travel and photography. Have you played golf at the new and improved Trump National Doral Blue Monster? Voice your opinion on Twitter @Golf4Beginners and on our Golf for Beginners blog.